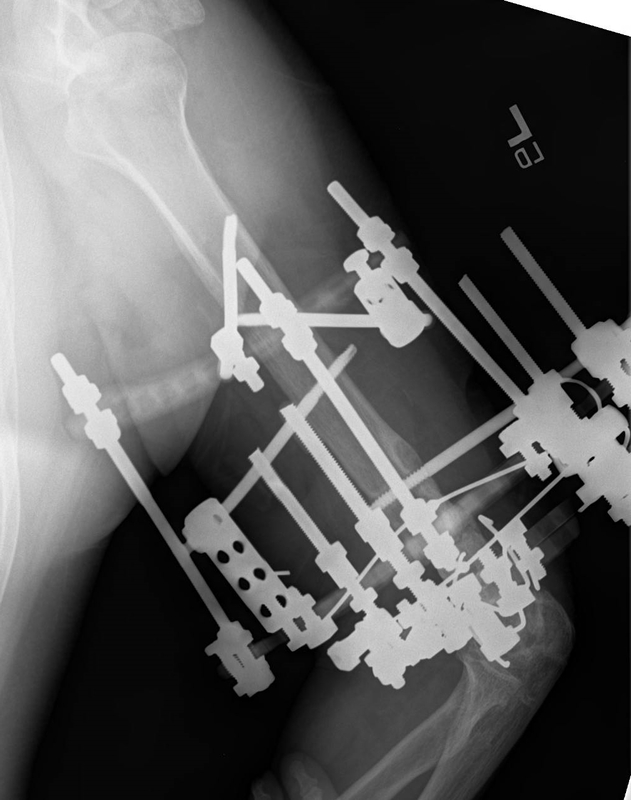 This x-ray of a 38 year old man 4 years after injury and two previous surgeries shows that the most recent treatment at an outside facility by other physicians had failed to heal the fracture. One of the plates had broken at the fracture site and several screws had loosened. The patient had debilitating pain. This image shows Ilizarov treatment in progress. 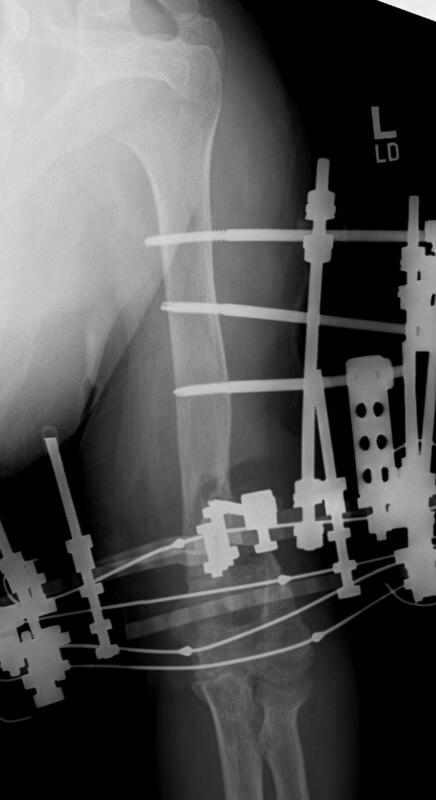 The bending of the wires indicates that the bone fragments have made contact and are being compressed with considerable force to stimulate healing. 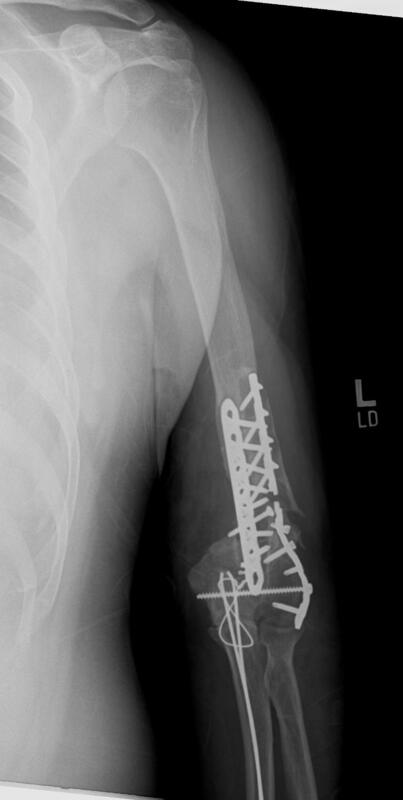 The final x-ray shows that the bone has healed solidly. 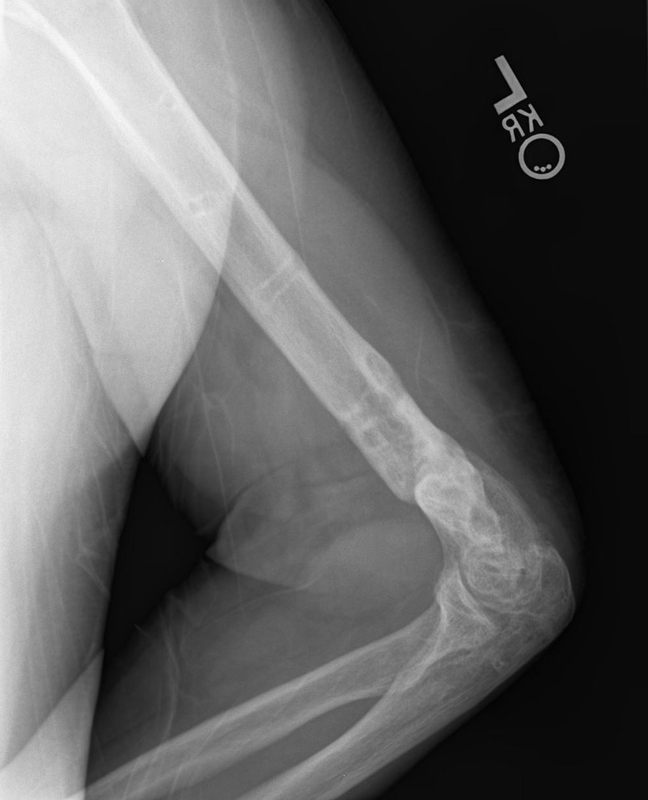 The patient has no pain and excellent range of motion at the elbow.